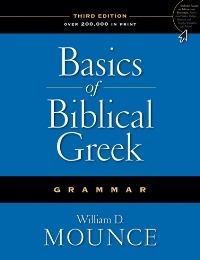 This volume represents the third edition of Basics of Biblical Greek by Bill Mounce. With a number of stylistic and aesthetic revisions, Mounce aims to make his grammar more accessible to students. The size of the book is much bigger than previous editions, with wider margins for note taking. The new layout is also designed to distinguish the various elements of each chapter with differing shades of blue. These features improve the readability of the material and make the grammar feel more like a traditional textbook. In an attempt to ratchet up the “fun factor,” Mounce introduces a cartoon professor who shows up throughout the grammar. The professor gives the readers “helpful tidbits” and other things that are “fun to learn” such as phrases to say in conversational Greek (xiii). These stylistic revisions are surely intended to make the text more palatable to undergraduate students and other self-learners (e.g., high school and homeschool students). Some graduate level professors, though, might not be as enthusiastic about the intentionally casual tone of these changes. The price increase is also an unfortunate aspect of the new edition. In order to make the material more manageable in this edition, Mounce has added “halftime reviews” to the middle of many of the chapters that highlight the subjects just covered. There are also now section overviews that summarize what will be presented in subsequent chapters. Additionally, chapter thirty-five has been split into two chapters with extended material on the definite article. Though small, these changes will surely help students maintain their bearings as they work through each new chapter. Mounce has also added an “exegesis” section at the end of some chapters that introduces syntactical concepts from second year Greek. These optional parts will likely encourage the disciplined student, but most beginners will be simply overwhelmed by this advanced material especially in the early chapters. Regarding content, the strengths that made this grammar a widely used textbook remain in the new edition. Mounce’s approach attempts to blend deductive and inductive ways of learning the language. He tries to include only what is essential in order to lessen the mental burden on new students. He also helpfully focuses on the recognition of forms rather than the rote memorization of paradigms. Accordingly, he synthesizes the important morphological data into a few composite paradigms and then focuses on seeing the patterns that are present in the Greek of the New Testament. He is also keen on students understanding English grammar prior to analyzing grammatical concepts in Greek, a sometimes overlooked feature of learning the language. His overarching goal is to teach students Greek “not as an intellectual exercise but as a tool for ministry” (xiv-xv). To this end, Mounce includes “exegetical insights” at the beginning of most chapters. These features continue to make this grammar an attractive option for introductory Greek courses. One element that was unfortunately not revised involves Mounce’s presentation of Greek verbal aspect. Mounce describes aspect in a way that differs from most scholarly discussion on the topic. For example, he gives the two main aspects as “continuous” and “undefined” rather than “imperfective” and “perfective” (124-26). Further, he says that he will discuss a “third aspect” in relation to the perfect tense form, but his discussion there does not mention aspect and simply describes an “action that was brought to completion and whose effects are felt in the present” (223). Although his descriptions have some explanatory power, they might only add confusion for a student who pursues interaction with other works on the subject. He also does not associate individual aspects directly with certain tense forms, which is a departure from the scholarly consensus. 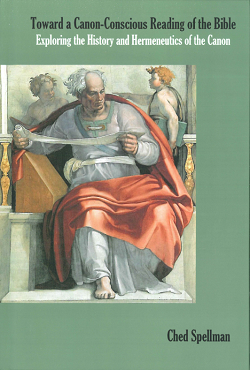 Consequently, instructors wishing to integrate verbal aspect into their introductory Greek courses will need to supplement Mounce’s grammar on this subject with a sampling of the standard works in the field (e.g., Campbell, Fanning, and Porter). The workbook received only minor additions and a slight reordering of some of the example texts. Instructors who have used the workbook previously will want to consult Mounce’s detailed list of specific changes to the exercises in the preface. One helpful addition is the text of 2 John at the end of the workbook. This option of translating an entire biblical book would be a fitting and encouraging capstone for a student who has completed the course. Along these lines, students will also appreciate that Mounce has integrated as much of the biblical text into the exercises as possible. For the third edition, Mounce has replaced the CD-ROM that came with the second edition with significant improvements to the website that accompanies the grammar (http://teknia.com). The website features troves of helpful and easily accessed content. For every chapter, there are multiple online resources including video, audio, vocabulary helps, and quizzes. The grammar itself frequently references the website, which Mounce plans to continue updating regularly. Self-learners will probably benefit the most from the website, though it serves as an excellent complement classroom instruction. As a beginning student of the language, I used Mounce’s materials to learn elementary Greek independently before coming to seminary. The marked improvements to the website will only enhance the experience of someone using this grammar and workbook to pursue a similar task. In Southwestern Journal of Theology 53.1 (Fall 2010), 95-96.